Can HGH Help Teens to Grow Taller? Below are questions and my response to each question about teens wanting to increase their height. Can HGH Help Me Get Taller? Answer: As you probably know, during the growth and development stage of life human growth hormone plays an important role in determining height. Once the growth and development stage is completed human growth hormone then plays a role in keeping our bones strong and healthy. At the age of 18 you may still be in the later stages of growth and development. If this is the case then it is possible that HGH therapy could help to increase your height by optimizing your rate of long bone growth, but neither myself nor anyone else can know exactly how much of an increase you may see. Once past the growth stage I must say that I have never heard of human growth hormone or any other substance increasing long bone growth. Adults past the age of growth and development have reported increases in height from 1/8 " to 1" while taking HGH therapy but the increases were caused not by long bone growth, but by an increase in bone density. Concerning our products, our HGH Plus IGF-1 & IGF-2 product would be the best choice since besides containing homeopathic growth hormone it also contains homeopathic IGF-1, IGF-2, and velvet deer antler. In closing I must recommend you consult your private healthcare provider and follow his/her recommendations regarding any type of HGH therapy. Question: My son is 5'5" and he is turning 16 yrs. He wants to grow a couple more inches since he is on the basketball team. Will HGH help my son grow taller? Are there any side effects? How long will it take for us to see the results? Thank you and we appreciate it! Answer: At 16 years of age HGH may help to boost his growth rate, since his long bones have probably not fused yet. Your doctor can take an X-ray to find out. Regarding side effects, it depends on whether he takes the HGH injections or a non-injection product. The injections are a full hormone replacement therapy that replaces the growth hormone normally made by the body with a synthetic growth hormone and so the injections can cause side effects. Non-injection products such as ours should not cause the side effects that may be seen with the injections. Our products are homeopathic and so work with the body to help the pituitary gland release more of its own growth hormone. We have heard positive reports from the parents of young clients taking our product under their doctor's care, and we have also had adults report improvements in their bone density. Concerning your question about how long it should take for your son to see an increase in his height, increasing height is usually a slow process, whether taking the injections or a non-injection therapy, and the results will be individualized. Generally speaking I would expect to see some increase within 6 months of therapy. In closing I must recommend you consult your son's doctor before giving him any type of HGH therapy. Follow-up question: Thanks for the reply! I have another short question. Is the non-injection HGH really safe? What will be the benefit for my son other than increasing his height? Follow-up answer: Homeopathic medicine is considered the safest type of medicine available and I consider homeopathic HGH the safest type of HGH therapy available. Other benefits may include improved muscle/fat ratio, increased strength and stamina, sharper senses, etc. Homeopathic HGH helps the body to optimize itself in regards to growth hormone, meaning he may see improvements in areas that need to be improved because his body should focus on improving those areas. Again, because of your son's young age I recommend you consult his doctor before giving him our homeopathic HGH or any type of HGH therapy. Follow-up question: Are there any proof of FDA in your product? Will it cause cancer when he grew older? I just really want to make sure nothing will happen to him. Follow-up answer: Our HGH products are FDA registered and have been issued their own NDC "national drug code" number by the FDA. As I stated, homeopathic HGH is the safest form of growth hormone therapy available, and taking a product such as ours that is FDA registered ensures the product is in compliance with the FDA's laws of safety. Even so I must tell you that the FDA does not provide guarantees that anything will always be 100% safe for everyone to take. They don't offer a guarantee for prescription drugs or non-prescription products. This is why you should speak with your son's doctor before giving him any type of health product or supplement. Just be sure he understands that you are only considering giving him a homeopathic HGH product, and not the injections. If he is familiar with homeopathic medicine he should be able to give you the correct advice. HGH to Boost Height at Age 16? Question: Hi, I'm 16 and 5 ft. I want to know if taking "hgh with igf-1 and igf-2 spray" will increase my height and if it will helps burn fat. Thanks! Answer: If your long bones have not yet fused then the HGH Plus IGF-1 & IGF-2 may help to optimize your HGH and IGF-1 so you get the most growth out of the time you have left until bone fusion. Please see the information found in our other posts about HGH and increasing height. Follow-up answer: There is no way I can know this information or estimate. Every person is different and it depends on variables such as genetics, nutrition, and where exactly you are in your growth stage. What is the Best Form of HGH For Increasing Height? Question: What is the best form of HGH for height increase and what is the ideal age for a boy to start if he hopes to increase his and what would a typical treatment regimen be? i.e. form of HGH, amount taken, frequency taken and for how long? Answer: These are all questions that should be answered by your doctor because the type of product, dosage, etc., will depend on your son's age, his IGF-1 level, and where he stands in the growth chart. If your son has a low IGF-1 level then his doctor will probably consider the HGH injections, but if his IGF-1 level is normal, meaning that his pituitary gland is already releasing a normal amount of growth hormone, then his doctor may be apprehensive about prescribing the injections, even if his height is below the "norm" for his age. The non-injection products may be considered by doctors who do not have a medical reason to prescribe the injections. For instance, homeopathic HGH is much safer than the injections and even though the IGF-1 level of the child may be normal, homeopathics also focus on helping the body to better utilize the HGH and growth factors it is making, and so may help the child to grow optimally during his growth and development stage. Again, I am only speaking generally about the possible treatments that may be used. General information about how the injections are taken is found at our site. 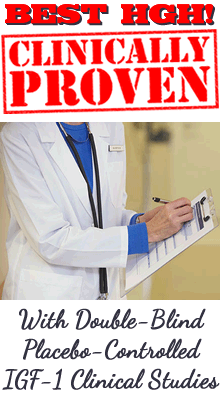 Also, information about how our homeopathic HGH products are taken. Other non-injection products will have their own dosage instructions. Question: I am almost 17 and I am 6 foot but I want to be a little taller for football so should I take hgh now or can I take it when I am older and still grow? Answer: Human growth hormone increases long bone growth, which is responsible for height, during the growth and development stage of life only. At age 17 you will be approaching the end of your growth and development stage before long but you may still have a little time left. If so, an HGH therapy may help you. Your doctor can do a test to tell whether you are still in your growth stage. Follow-up question: So should I take it when I'm 17 or 18 if I wanna grow more than I would without hgh? Follow-up answer: Your should see your doctor as soon as possible if you are wanting to increase your height because every day you are getting closer to the time when your bones will fuse and then it will be too late. As always, I strongly recommend you only take a human growth hormone therapy on the recommendation of your private physician. Is HGH Safe For a 19 Year Old? Question: Hello, my name is Mina. I'm almost 19 years old. My height is about 5'5'' (165 cm). I want to ask if your product is safe for me in my age or not? What about its side effect? How much time will it take to increase my height and if there's something you can advise me with. Answer: Our HGH Plus IGF-1 & IGF-2 may help to boost your growth rate but only if your long bones have not yet fused. Once the bones fuse any increase in height can only come from increasing the bone density. We have had reports of our product increasing bone density in those who have lost bone density due to aging, however, as a young person your bone density should already be normal if you are meeting all your nutritional needs. Your doctor can check to see if your long bones have fused. I recommend those wanting to increase height choose our HGH Plus IGF-1 & IGF-2 product with their doctor's approval because besides containing homeopathic HGH it also contains IGF-1, IGF-2, and velvet deer antler in a safe homeopathic formulation. Velvet deer antler contains bone growth factors and ingredients that support the growth and health of bones. HGH Plus IGF-1 & IGF-2 is homeopathic so it does not carry the risks factors that the injections do, however you should only try our product with your doctor's consent. In closing, I always recommend young people consult their doctor and follow their doctor's advice regarding taking any human growth hormone product. Question: I am a 17 year old, who isn't the tallest but also isn't the shortest, I have strength but I'm not very wide. I want to go taller, go wider, and gym to go big, that is the reason why I am considering injecting hgh. I don't know much about this. What pro's and con's have the guys that's taken this have experienced? and what advice do you have for me? Also, what do I need to know? 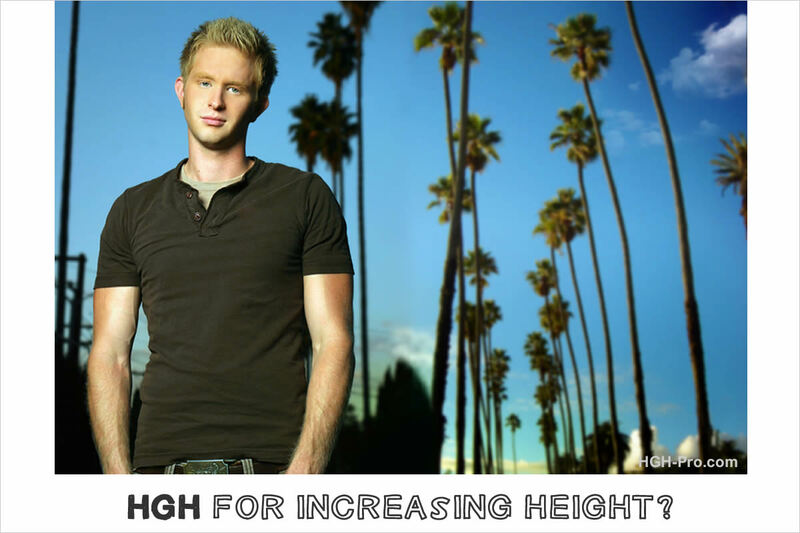 Answer: Please see this page: HGH and Increasing Height. It contains a good bit of information. Follow-up-question: thank you for that. so from what I'm understanding, ALL the benefits that I would get from the injection I could get from HGH Plus IGF-1 & IGF-2 which is a homeopathic tablet? like I said its not only height I want, I would like more strength to gym hard and going wider (as in wider back,etc). Follow-up answer: First I must say that I do not agree with anyone your age taking any type of growth hormone therapy without consulting your private doctor and following his/her advice. The injections can be especially dangerous. Now, regarding our product, it is an FDA registered homeopathic spray. The pill products are dietary supplements and do not contain any form of growth hormone. They contain vitamins, amino acids, and/or herbs only. Regarding benefits, we cannot say that everyone will receive the same benefits with our product as they would if they took the injections because every person is different. We have some people who have taken the injections and say they like our product better, and some people say the injections worked faster but they also experienced side effects such as joint aches and edema (swelling). We do offer a money back guarantee. The injections do not come with any guarantee. We invite clients to check their IGF-1 level before beginning our product and after taking it for 3 months, if their IGF-1 level doesn't improve we will refund the price of those 3 bottles. (HGH levels are measured in adults by checking the IGF-1 level). Please see our guarantee policy for specifics. In closing I recommend you consult your doctor and follow your doctor's recommendations concerning any HGH therapy.